Wind and waterproof winter jacket for future champions. The Specialized Element RBX Comp Logo Kids Winter jacket is designed to keep them warm. 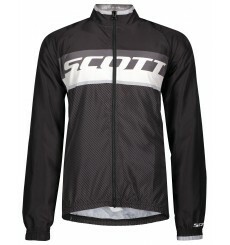 The SCOTT RC WB junior jacket is the perfect windbreaker for all junior racers. The Specialized Element RBX Sport jacket is a wind and waterproof winter jacket for future champions.